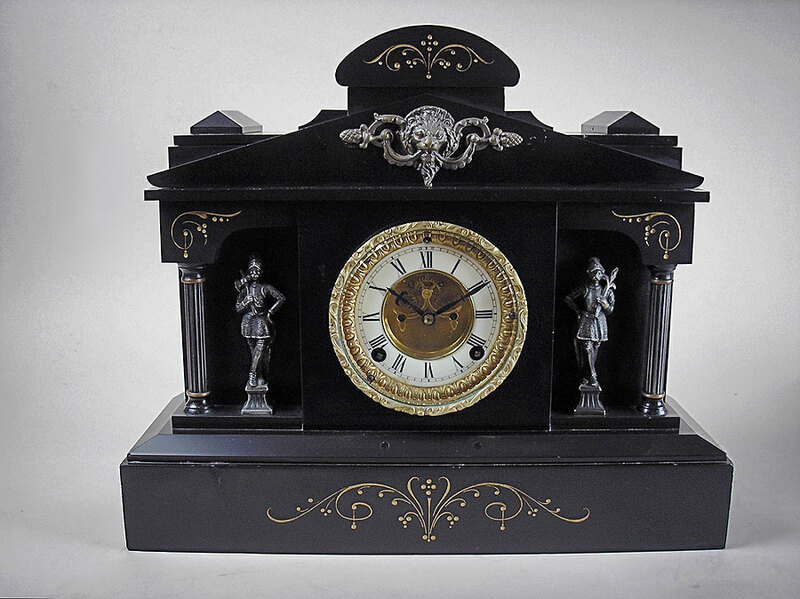 American mantel clock by Ansonia Clock Co. This is an American mantel clock by the Ansonia Clock Company of New York. 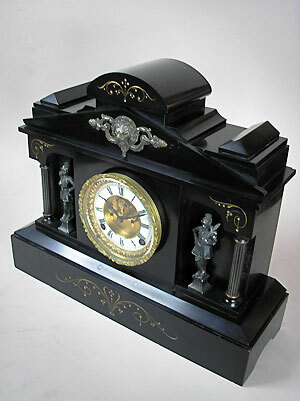 The clock is in a black slate case with inlaid engravings to the front, two patinated spelter figures and fluted columns. The enamel chaptering has a heavy cast brass bezel and bevelled glass. 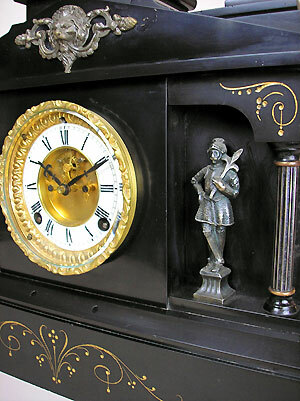 The eight-day movement with brocot escapement strikes on a gong.